When your garage door breaks, your possessions are more susceptible to theft or damage, and you might even lose access to your car. At Action Garage Door, our expert technicians have the skills and experience to handle any garage door repairs at your Terrell Hills home or business. We offer the best products in the area, and our professionals are dedicated to providing unsurpassed customer service. For three decades, our family-owned company has exceeded the high expectations of many customers throughout the San Antonio area. As part of our commitment to delivering 100 percent customer satisfaction, we always pull any necessary permits up front and use products built to withstand the elements, so you end up with a garage door that complies with all local codes and will provide reliable performance for many years. In addition to inviting only the most experienced experts to join our team, we require all of our technicians to pass a thorough screening. When you hire Action Garage Door for your Terrell Hills garage door repair, you’ll be working with the most skilled, most trustworthy professionals in the business. Along with offering top-notch repair services, the experts at Action Garage Door can help you select and install a new or replacement garage door for your Terrell Hills home or business. We carry a broad variety of models from the best manufacturers in the industry, such as Amarr, Chi and Classica. Our professionals will work closely with you to select a new door that will not only look great on your residential or commercial property, but will also last for years. 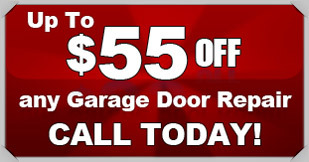 When you need garage door repair, maintenance or installation services in Terrell Hills, look no further than Action Garage Door. Our experts are ready to solve any problem with your residential or commercial garage door efficiently and effectively, with minimal disruption to your daily routine. Give us a call or contact us online to schedule an appointment.